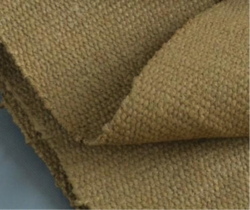 Our Welding Blankets are made from high temperature fiberglass woven fabrics, in varying thickness. Keeping our track with the advancements taking place in the industry, we are indulged in offering Welding Blanket. 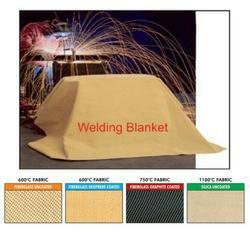 Welding blankets are used to protect welders as well as to cover certain important materials from welding splatters. It is an ideal replacement for asbestos product used for thermal insulation and heat protection. It will not burn, rot, mildew or deteriorate and resist most acids. It is suitable for temperature up to 550oC. The ESAB Welding blankets are produced using heat and flame resistant fabrics. The blankets provide excellent protection from grinding/welding sparks, slag and drops of molten metal. ESAB offer a wide range of blankets with different characteristics and in many different sizes.